Despite the advancing years I had up until receiving this book for Christmas never read any Wodehouse, though I had been read excerpts in my younger years. 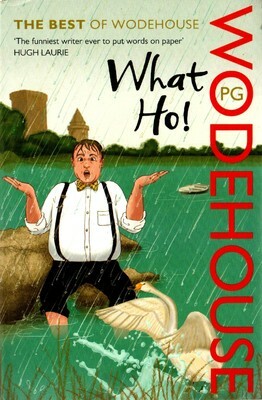 Of course, the problem with Wodehouse is that being such a prolific author, it’s difficult to know where to start. And since most Wodehouse readers have their favourites, asking for advice on what to read is a bit like asking which football team you should support. All of which is precisely why this compendium fits the bill nicely. There’s a little bit of everything here to give the newcomer a real taste of Wodehouse’s world, with stories from Jeeves, Blandings, Ukridge, Mr Mulliner, The Drones, Psmith and Uncle Fred. There’s also a section of golfing stories, and at the back, as a sort of appendix, a collection of letters and sundry other writings. As for the prose itself, well if you really need more convincing, you could always start by perusing the introduction by Stephen Fry. The only other review of this book to date criticised the quality of the book, and to some extent I must agree. Whilst I found nothing lacking in the book’s manufacture, there were a surprising number of typographical errors to be seen, albeit only small niggly things. Nevertheless, for the price this volume is an absolute steal, a definite must for anyone looking for a glimpse into Wodehouse.